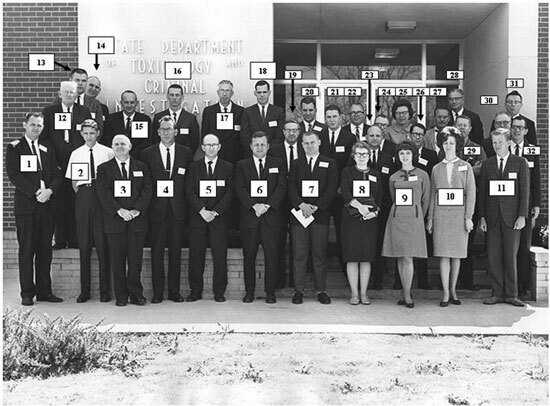 On September 9, 1966, forensic scientists from the southern region of the United States met in Atlanta, Georgia and adopted the first constitution of the organization known as the Southern Association of Forensic Scientists. This was not the first meeting of this group, which had met previously in Baton Rouge, Louisiana and Auburn, Alabama. There were 47 original or charter members. As of this writing, there are 518 SAFS members. SAFS is the oldest of the regional forensic scientist associations with the exception of the California Association of Criminalists. SAFS is an organization of practicing forensic scientists. To gain voting membership in SAFS it is essential that a prospective member have given expert testimony in some court of the criminal justice system, or have advanced the cause of forensic science in some significant manner. There are two other types of membership available to qualifying forensic scientists. Affiliate Membership is a limited three year membership available to any student enrolled in an accredited four year college or university, whose major field of study leads to becoming a forensic scientist. Everyone who joins SAFS must spend at least one year as an associate member. Applicants for Associate Membership must have been registered at at least one SAFS Meeting prior to the meeting at which the applicant will be considered for membership. Membership applications of all types are considered at the Business Meeting of the SAFS. Applications for associate membership, affiliate membership, promotion to regular membership, or change to retired class membership, must be submitted by June 1 of a given year in order to be considered at that year’s fall meeting. Copies of application forms appear in this directory. The SAFS meets annually in the fall, at various locations in the southern region of the United States. SAFS meeting locations are selected about two years in advance.